An endodontist specializes in a tooth’s pulp, and a main component of endodontics is performing root canals. Even if you’ve had a root canal, you may never have seen an endodontist, as they usually take difficult cases that dentists are not equipped to handle. If you need to find an endodontist, 123 Dentist is your resource for qualified endodontists in your area. You may have heard of an endodontist under another name: root canal specialist. Endodontics is a specialized field of dentistry that involves the soft pulp within the tooth. 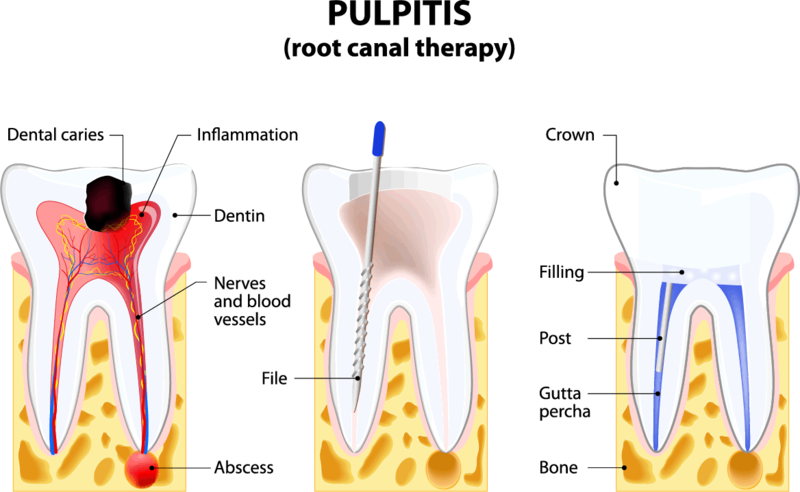 This is an interesting field, because though the exterior of the tooth is a hard tissue, the pulp is a soft tissue, making endodontists soft tissue specialists. Both endodontists and dentists perform root canals. You don’t always need an endodontist to perform a root canal; instead, when you have a particularly severe case that requires specialized knowledge or equipment, you turn to an endodontist. Otherwise, your dentist is very qualified to do basic root canal procedures. Endodontists use surgical microscopes and X-rays to diagnose and treat tooth pulp problems. If you have a particularly difficult tooth problem, an endodontist has specialized diagnostic training that makes them highly qualified to figure out the problem. If you’re experiencing extreme pain, an endodontist, again, is very qualified to help with your pain management. Dentists will often refer patients to endodontists for pain management or difficult diagnoses. You can also seek out an endodontist on your own. First, an endodontist gets a four-year dentistry degree, resulting in either a Doctor of Dental Surgery (DDS) or a Doctor of Dental Medicine (DMD) degree. After, the dentist goes on to an additional two to three years of school to specialize in endodontics. Endodontists have to become licensed in their state, and as part of that license they’re required to take continuing education to stay current on endodontic practices. Endodontists perform root canal surgeries that regular dentists do not perform while doing root canals. Common issues include calcifications that form in the canal, which can make a regular root canal impossible. An endodontist will remove those calcium deposits with tiny surgical instruments. Endodontists also do diagnostic surgery, which is effective when a patient is experiencing pain that x-rays and other examinations can’t reveal the source of. Surgery allows the endodontist to look at the tooth and its root in entirety, and discover minor fractures or other issues that cause the pain. 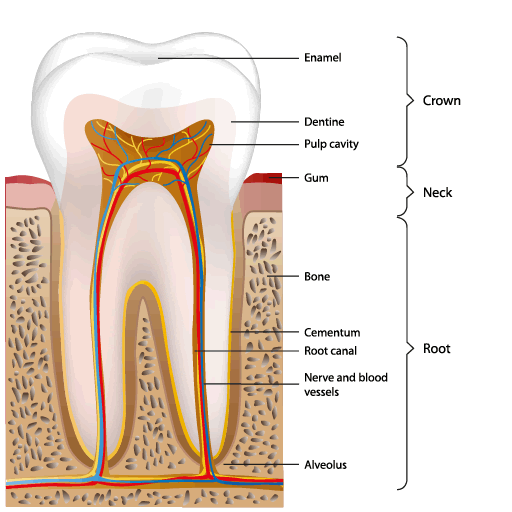 The endodontist is then able to fix those issues and seal the root. When you need a second root canal to fix an ineffective first root canal, you see an endodontist. Most root canals heal fully, and you don’t need any additional work on that tooth. However, some teeth don’t heal after an initial root canal, or the root becomes infected. Endodontic surgery gives your tooth the best chance of surviving. If left untreated, an infected or damaged root root can result in tooth loss. When you have inflamed tissue at the tip of your root, it causes pain and can lead to more severe problems. An endodontist will make a cut in your gum that exposes the bone and root. The endodontist then removes the inflamed tissue and the tip of your tooth’s root. They then fill the space where the tip was, and suture everything back up. The bone around the root will heal in the next few months. Certain kinds of tooth trauma and injury damage the tooth’s pulp and root. When this happens, an endodontist works out a treatment plan to help the pulp recover. In severe chipped tooth cases, the root or pulp is exposed. Instead of a crown or a filling to repair the chip or the crack, an endodontist will need to perform a root canal to save the tooth and fix the damage. Another type of tooth injury endodontists deal with is dislodged teeth, which happens when a tooth gets shoved up into the gum, or partially pulled out of its socket. The endodontist will determine how to stabilize and heal the tooth. Root canal therapy is almost always necessary, and your endodontist may elect to use additional medication within your tooth, like calcium hydroxide. Endodontists also replace teeth that have been completely removed from the socket. Depending on the state of the root and how long the tooth was out, an endodontist can splint the tooth and perform a root canal that will save the tooth and reconnect it to the gums. If you’re experiencing any mysterious tooth pain or root canal trouble, an endodontist may be who you need. Ask your dentist or find a qualified, licensed endodontist in your area. The faster you address pulp and root problems, the more likely an endodontist is to be able to save your affected tooth.